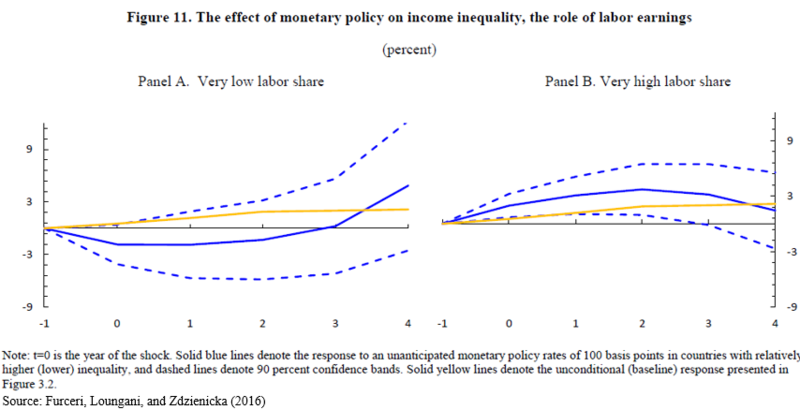 The paper notes that “Furceri, Loungani, and Zdzienicka (2016) emphasise the importance of heterogeneity in the response of labour income to monetary policy as a key channel, noting evidence that those at the bottom of the income distribution are most affected by changes in economic activity.” Continue reading here. See my previous post on monetary policy and inequality here. The Furceri, Loungani, and Zdzienicka (2016) paper is available here.